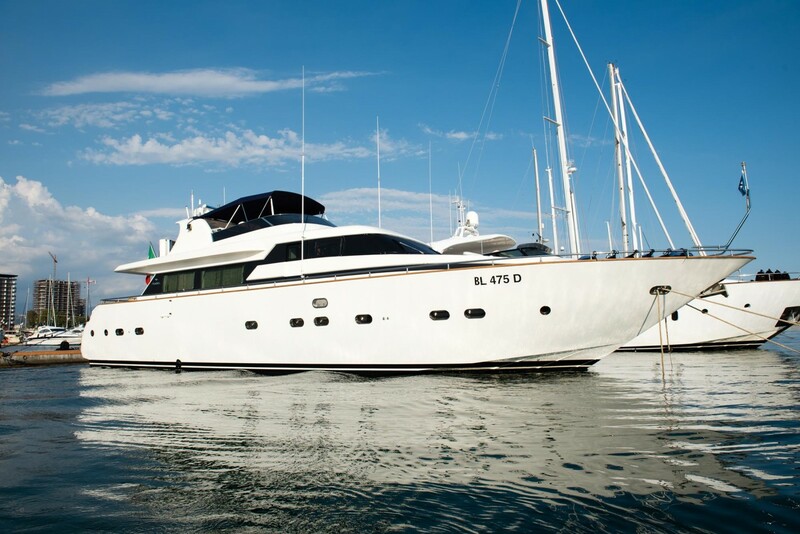 Built by Maiora in 1994 and last refitted in 2018, 23m/76ft motor yacht LADY CLOTILDE is constructed with a GRP hull and superstructure for a shallow draft that offers excellent access to secluded beaches. 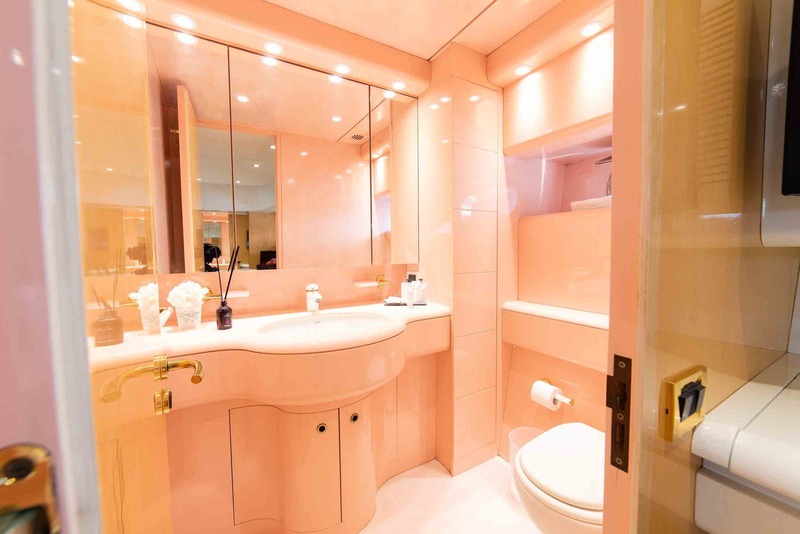 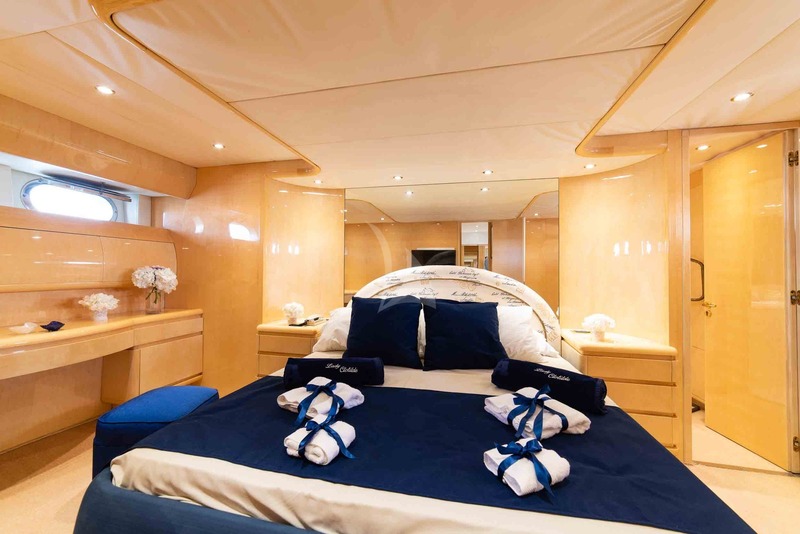 The accommodation sleeps up to six guests over three en-suite cabins, with a crew of three to ensure that all details throughout the journey are taken care of. 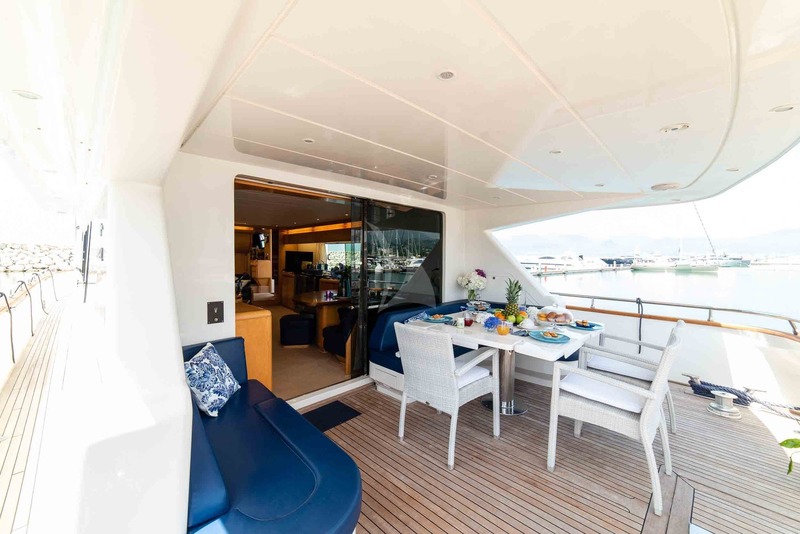 From the swim platform, guests can access the main deck aft, where there is an alfresco dining space with additional white chairs to complement the L-shaped seating. 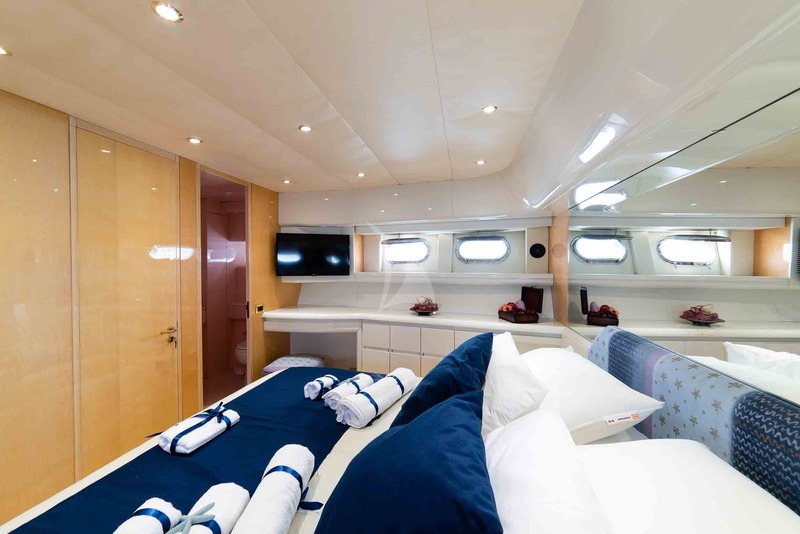 On the bow, guests can rest on the raised sun pad in front of the helm station or watch the sunset from the integrated sofa. 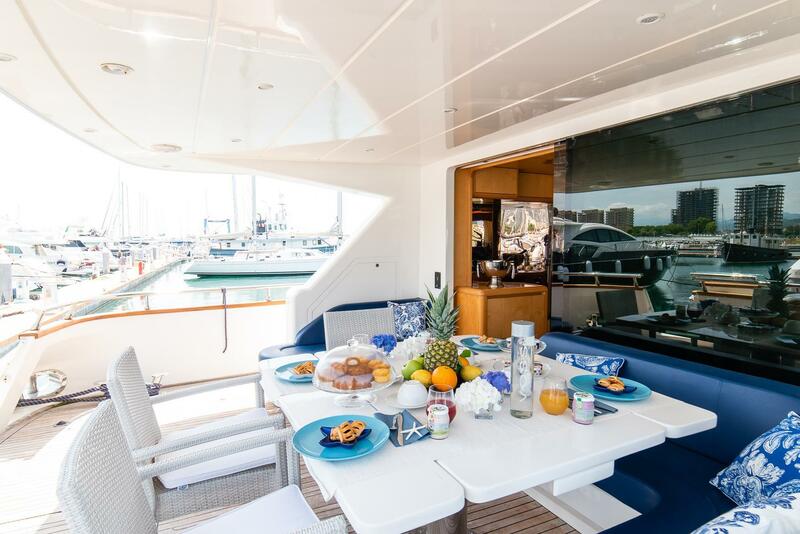 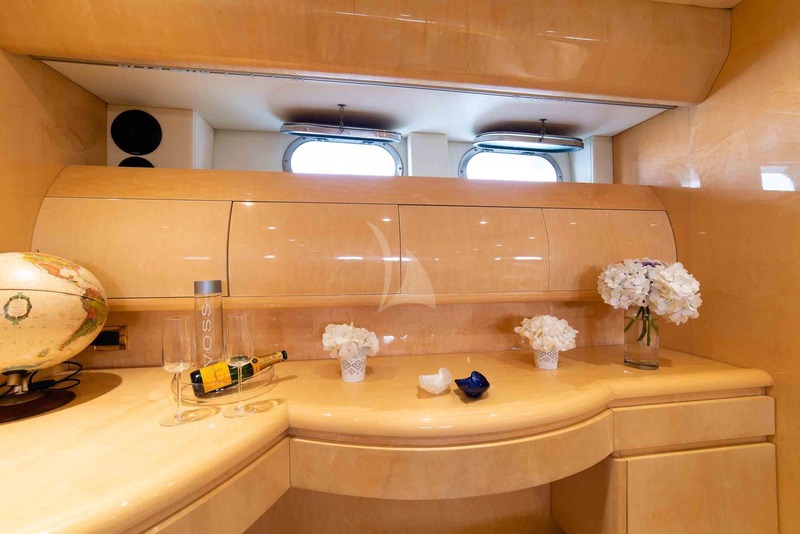 The flybridge provides an alternative relaxation area with sun pad/sofas to the aft and a massive clear central area that can be used for exercise or alfresco dining. 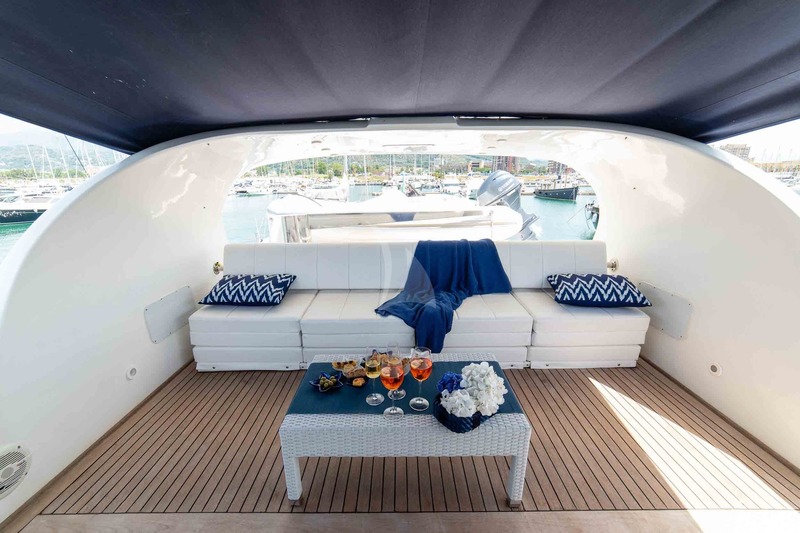 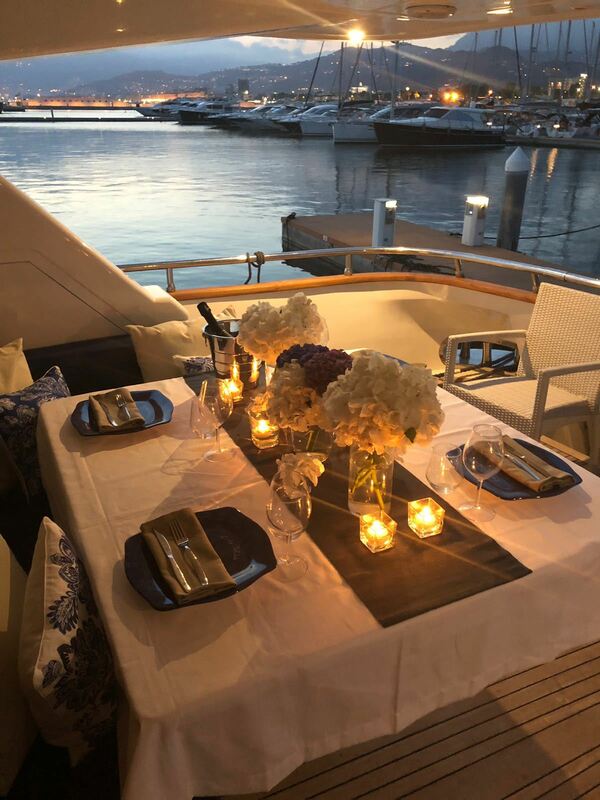 An awning covers the flybridge to ensure that the whole group can use the area in rain or intense sunshine. 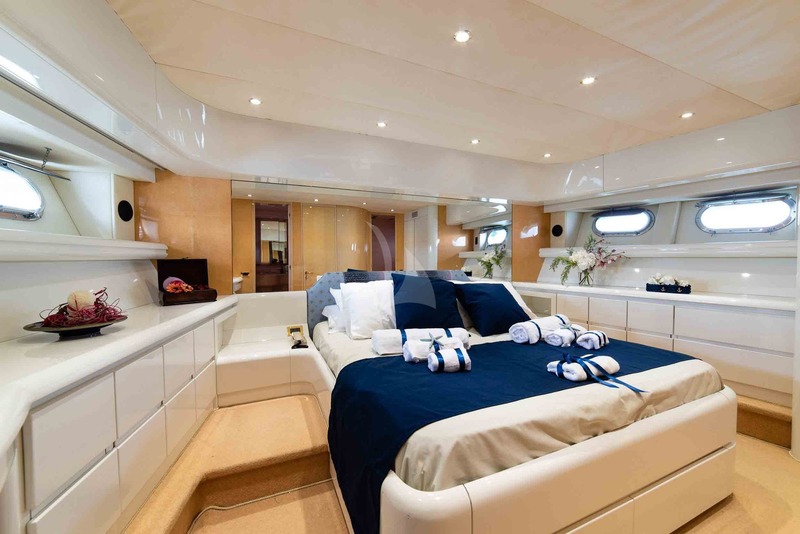 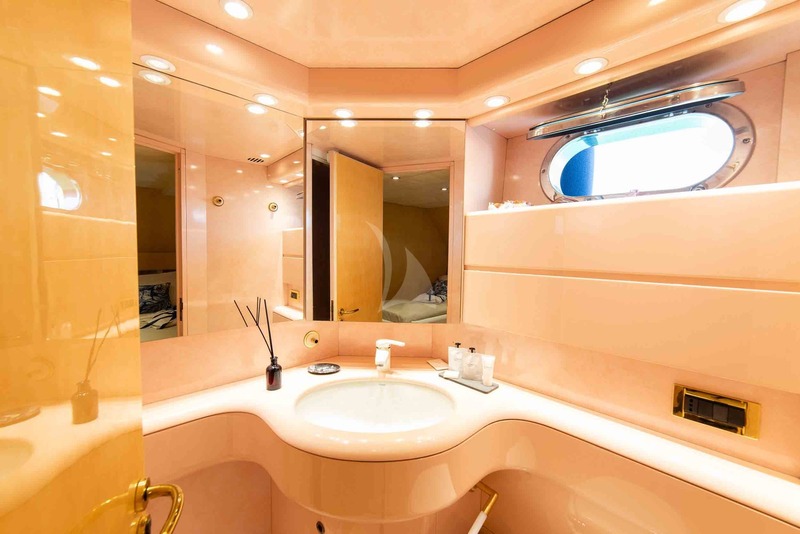 The lower deck contains the crew accommodation and guest cabins, which consist of a Master suite, a double cabin and a twin cabin. 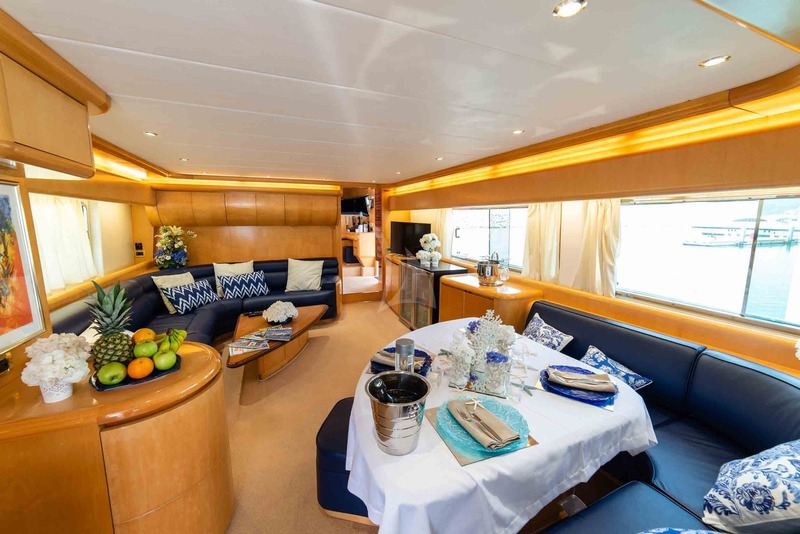 The main deck contains a spacious main salon that places an L-shaped sofa in the top port corner and the aft starboard corner. 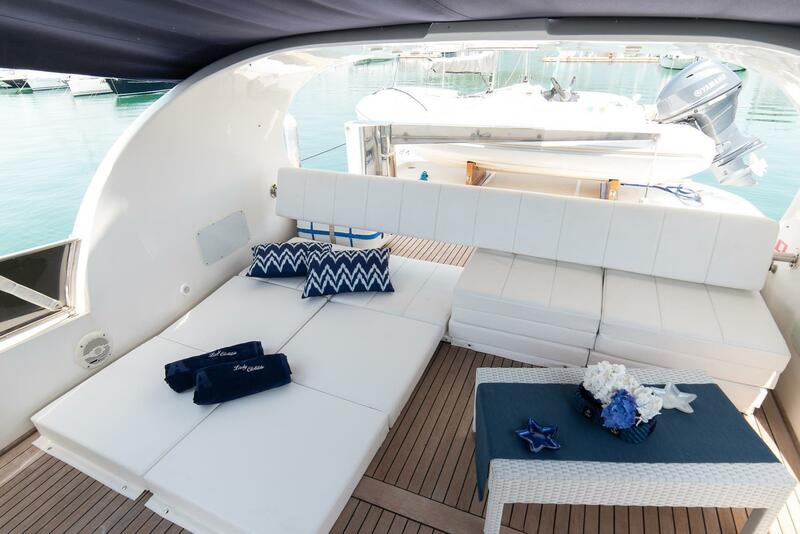 The top one has a coffee table and a widescreen TV and wine fridge opposite, while the second seating arrangement is ideal for working on electronic devices or dining together with family and friends. 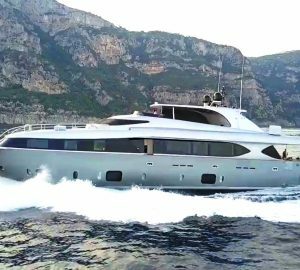 A pair of 1,100 HP engines provides a cruising speed of 16 knots and a top speed of 24 knots. 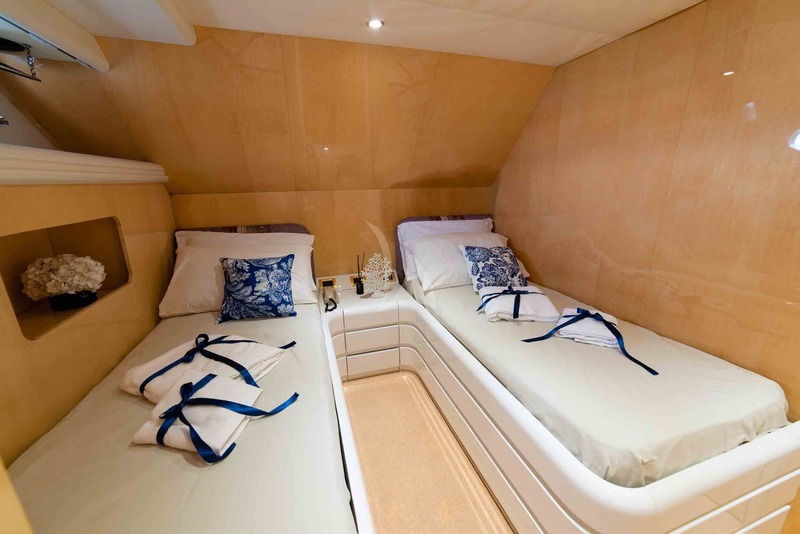 The accommodation sleeps up to 6 guests over 3 large en-suite cabins: 1 Master suite, 1 double cabin and 1 twin cabin. 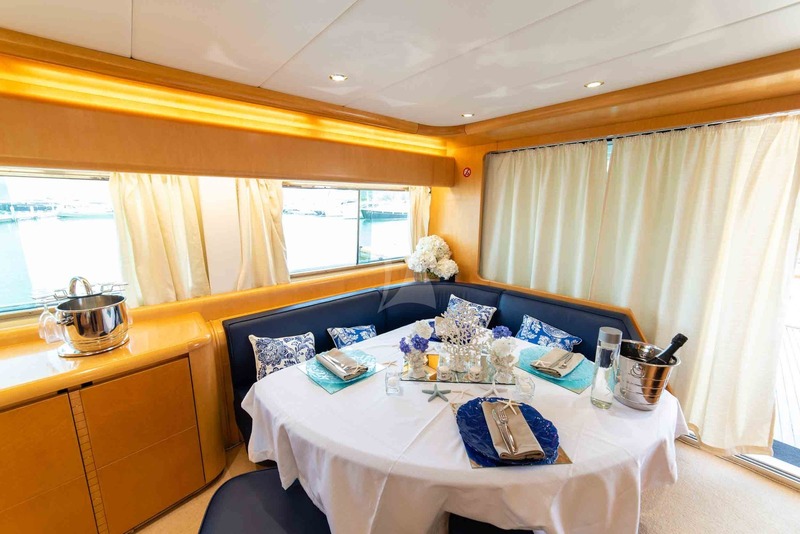 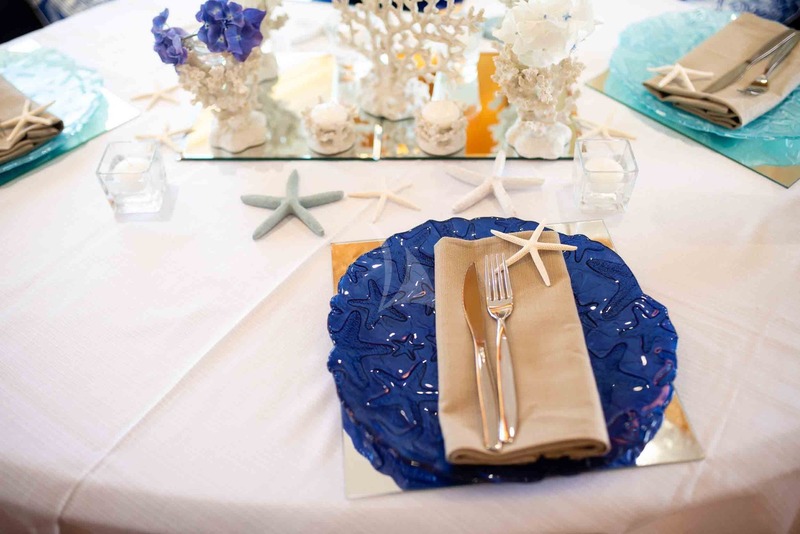 The crew of 3 will provide everything guests require for a restful and fun-filled holiday. 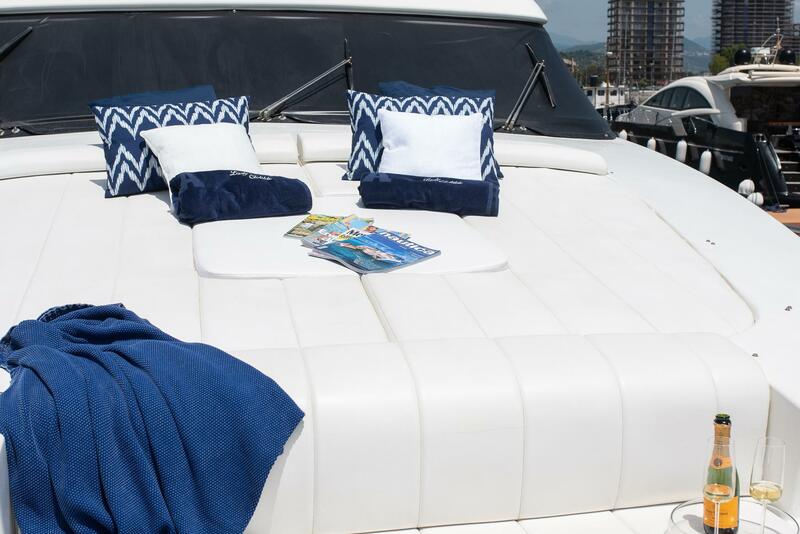 Tenders & Toys: ~ Tender 3.20 engine Yamaha 40 HP FB + Gruettefor tender on the fly Noodle ~ banana fly ~ snorkelling equipment.